Cesspit with NO protection from hazardous liquid spills. Nitrile drain cover over cesspit. Use absorbent socks around perimeter of cesspit for added protection. Nitrile rubber drain covers offer a quick and temporarily solution to stop or slow down liquid spills from entering stormwater drains. Constructed of Nitrile rubber 1.5mm thick, suitable for oil and other petroleum based liquids and provides moderate residence to mild chemicals. Place absorbent socks around the perimeter of the cesspit for added protection. Great additional product for spill kits. Dimensions: 600mm x 800mm fits standard stormwater drains. 1.0m x 1.2m fits larger stormwater drains. We can also custom cut covers in sizes to suit your specific needs. Contact us today to discuss your requirements. 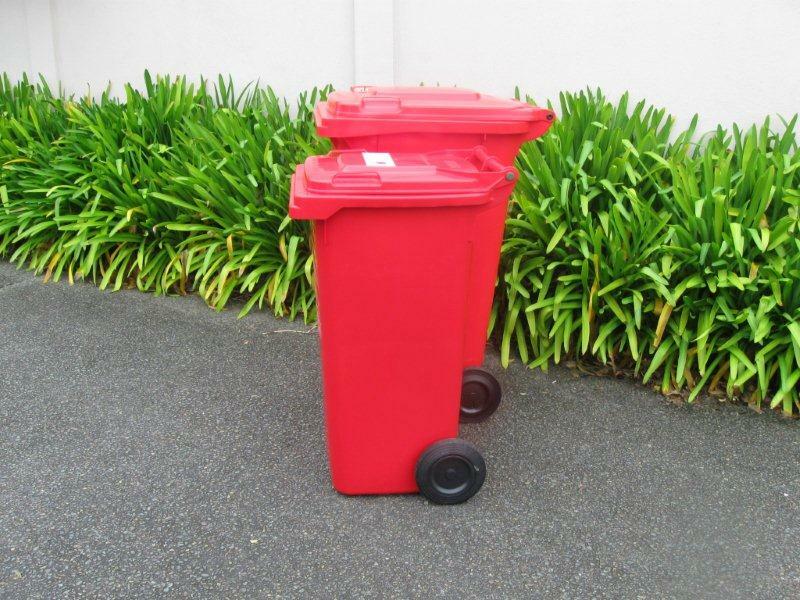 Spill kit wheelie bin cover makes spill kits highly visible and prevents spill kits being used as rubbish bins. High visibility wheelie bin cover. Clearly screen printed with the words "Emergency Spill Response Kit"
Elasticated for a secure fit on any 240L wheelie bin. Clear pocket in front allows "Last Checked" documentation to be easily accessed. These all purpose mobile wheelie bins are very easily transportable and built to last with their High Density Polyethylene construction. Suited for both residential and commercial purposes and can be used indoors or outdoors. Features include easy grip handle, smooth roll wheels and a 'long-lock' hinge pin which cannot pop out. Available colours: Blue, Green, Yellow and Red. This product is very handy as it will help clean the stain mark left after the spill has occurred. Simply clean the spill area first and then apply as directed. Use for stains caused by oil, grease, hydraulic fluid, food grease and other oil-based materials. Use for oil stains embedded on concrete (sealed or unsealed), asphalt, and brick. Environmentally friendly - citrus based, biodegradable and phosphate-free. Coloured Red & Black sign with a clear laminated finish. Can be easily positioned to give your staff clear knowledge and awareness of spill kit placement. A must have sign with each spill kit on site. Plug 'n' Dike is an extremely handy bentonite /polymer mix to have on hand for any of those accidental leaks of drums, containers or tanks. It is non toxic, nonflammable and will temporarily seal pesticides, fuels, solvents and many other water based chemicals immediately when applied. No preparation is needed as this product will seal and stick onto a dirty surface even with liquid flowing. Comes in a handy sized 650g tub container.